The faculty was organized in 1992-1993. Over the 25 years of its history, the faculty has developed excellent traditions related to improving and improving the quality of education, achieved high results in research, increased professional staff of teachers, the faculty trained and produced more than 7,000 specialists in economics and management. At present PMU is 6 departments with more than 58 employees, 2 of them are doctors of science, professors, 1 professor of OshTU, more than 20 candidates of science, 20 masters of economics, management and public administration, more than 1200 students of day and correspondence ) training. Osh Technological University for the first time began accepting entrants for training in economic specialties in 1991. Thanks to the first rector of the OshTU, the corresponding member. NAS of the KR, academician of the IA of the KR, Doctor of Economics, Professor P.K. Kupuyev decided to train economists needed for the south of the republic. The first set of future economists was carried out in the specialties “Economics and Management in Household and Housing and Communal Services and Urban Management” and “Organization of Production”. In 1992, for the first time in the south of Kyrgyzstan, Oshtu completed the first admission of entrants to study the specialty “Commerce” on a paid (contract) basis. So the foundation was laid, and then the first in the south of the republic economic faculty, the current faculty of economics and management was founded. New departments were created, students’ sets for new economic specialties according to the new classifier of specialties of higher education. The Faculty of Economics and Management provides fundamental and professional training for specialists, bachelors and masters in the field of economics and management, fosters the formation and development of research and development skills, as well as an active life position, and strives to preserve and develop the best traditions of Kyrgyzstan’s education, science and culture. The faculty forms and supports the aspiration of students to continuous updating of knowledge, development of intellectual potential, high morals and morals. The faculty provides a wide range of educational and scientific services, has reliable partnerships with alumni, employers, consumers, universities of the republic, educational and scientific centers, authorities and the public. Academic Council of the faculty consists of 25 teachers who represent 6 departments of the faculty. More than 50 employees work at the faculty. Chairman of the Academic Council – Doctor of Economic Sciences, Professor OshTU Tashbaev A.M. 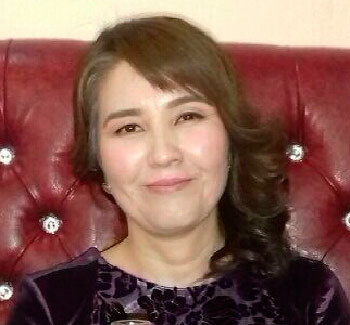 The Secretary of the Academic Council of the Faculty is Candidate of Economic Sciences, docent of the Department “Accounting and Audit” Khamzaeva A.M. The methodological commission of the faculty is headed by Candidate of Economic Sciences, docent of the Department “Management” Usanova Zh.U. The commission consists of 7 teachers. a) Assistant dean for educational and educational work is Maatov KM. – Senior Lecturer of the Department “Applied Informatics in Economics”. b) Assistant dean for Research and External Relations is Candidate of Economic Sciences, docent of the Department of Accounting and Audit Umarov S.T. c) Assistant dean for distance learning is the master of public administration, the senior teacher of the department “Business management and social work” Mametova G.A. There are 6 departments at the faculty. All departments are graduating departments. A) Department “Accounting and Audit”, head of the Department is Doctor of Economics, Professor OshTU Uzenbaev R.A, prepares from the Bachelor’s Degree in Accounting and Audit in Economics. B) Department “Finance and Credit”, head of the Department candidate of Economic Sciences, docent A.A. Kutmanbekova, prepares from the bachelors in the field of “Finance and Credit” in the direction of “Economics”. B) Department “Economics and Business”, head of the department candidate of Economic Sciences, docent T. Zhusupalieva, trains bachelors in the field of “Economics and management at enterprises” in the direction of “Economics”. D) Department “Management”, head of the department candidate of Economic Sciences, docent А.К. Atabekov, trains bachelors in the direction of “Management”, “Logistics”. D) Department “Applied Informatics in Economics”, head of the department candidate of econ. sciences.,docent A.Zh. Artykov, trains bachelors in the direction “Business Informatics” and “Applied Informatics in Economics”. E) Department “Business Management and Social Work”, head of the department, candidate of philosophy, professor of OshTU J.A.Kedeibaeva, prepares students in the direction of “Business Management”, “Social Work” and “Regional Studies”. History of the department. The Department of Economics and Business is the issuing department, which carries out all kinds of educational, methodical, scientific and educational work with students, post-graduate students and undergraduates. In March 1991, on the basis of the Department of Sociology and Humanitarian Education of the Osh Higher Technological College, the Department of “Economic Theory and the Basics of Marketing” (ETiOM) was formed and separated as an independent academic unit. It was headed by Doctor of Economic Sciences, Professor Osipov M.S. In 1992 the department was headed by M.Maksytov. From 1998 to 2000 the department was headed by Ph.D. Nizamiev A.G. In 2000, the department was renamed into the Department of Economics, headed by Candidate of Economic Sciences, docent Tashmatova G.E. up to 2010. And since 2010 the Department of Economics was headed by Candidate of Economic Sciences, docent Toktobekova M.A. Later the department was renamed into the department “Economics and Business”, which is now headed by Candidate of Economic Sciences, docent Zhusupalieva A.T. There are 7 people at the department, including 3 Candidates of Economic Sciences, Tashmatova G. E., Candidate of Economic Sciences, Saipidinov I.M., senior teachers: Dyikanova G.A., Pak E.A., Kadyrova T.K., teacher: Karayev Z.U. In 2004-2005 Department of Magistracy in Economics was opened. Zhusupov T. – Deputy Governor of “Ecobank” in Bishkek, Abdivasiev M. – Leading Specialist of the Kyrgyz Agricultural Financial Corporation in the city of Jalal-Abad, Subankulova T.- Chief Manager of the UNDP Fund, Kainazarov T.- Managing Director of OJSC ” EcoIslamicBank “, Abazbekov T.- Director of the first microcredit company” Kurshab “CJSC”, Busurmankulova T. – Auditor of the Accounting Chamber of the KR., Shamshiev AA – Managing Bank of CJSC Asia, Osh. At the moment, the department prepares specialists in the direction of Economics, specializing in Economics and Enterprise Management. Qualification characteristics of the profile of the bachelor in the direction of “Economics” 580100. The direction was considered by the Academic Council of Osh Technological University and approved by the order of the Ministry of Education and Science of the Kyrgyz Republic. The normative term of instruction in the direction is 4 years (on correspondence with the use of distance learning – 5 years). After graduation, the degree of “bachelor” is assigned in economics. At the department all the fixed work programs of teachers at the beginning of the academic year were issued according to the requirements of the State standard and were considered at the meeting of the department. Work programs are coordinated with the graduating department and approved by the director of the training department. At the department there is fixed the plan of scientific research work. The Department of Economics and Business has a material and technical base that provides all types of practical training and research work for students, provided for by educational programs. In the fixed auditories of the faculty 1/501, 1/503 lectures and practical classes are held. There computer classes are opened to implement educational programs, conduct research work on the problems of analysis, processing and presentation of data in digital form for students in free access. The department of the Faculty of Economics and Management is connected to the Internet; the faculty has its own Wi-Fi. Annually students take an active part in the republican student subject Olympiad, scientific-student conferences; the department has its own educational circles. Teachers of the department annually organize and conduct scientific and practical conferences for students. Students participate in subject Olympiads and competitions, both at the university level and at the national level. At the senior courses they take part in work on projects, make presentations at theoretical and theoretical conferences of the university and republican conferences. (OshSU, RGSU, KUU, KEU) Tutor is the key figure in the conduct of educational work with the student group. He is the organizer of the activities of students in the group and the coordinator of educational influences. Students of our department actively participate in various educational events for students: “Day of Knowledge”, “Independence Day”, “Day of Science”, “Student New Year Ball-Masquerade”, KVN. At the department the tutor of the group performs work on the planned plan: gr.E (EUP-14) tutor Pak E.
The department conducts a scientific work on the topic: “Socio-economic problems in a market economy”. Possessing significant scientific potential, the scientific research work of the faculty is reflected in the published monographs, teaching aids, collections of scientific papers, speeches at scientific and scientific-practical conferences of different levels, active scientific work of students. At this stage, the department thoroughly studies the problems of foreign direct investment and examines issues over their increase in the economy of our country, which is the main factor of economic growth. Zhusupalieva Ainura Turgunovna– Candidate of Economic Sciences, Docent, Head of the Department. In 1997 she graduated from the postgraduate school code 08.00.05 in the direction “Economics and management of the national economy”. In 2011 she defended her thesis for a Candidate of Economic Sciences. In 2015, she was awarded the academic status of docent. Currently he heads the department of Economics and Business. She reads lectures for students in the following disciplines: Tax and Taxation, Macroeconomics, Institutional Economics. The total work- 24 years. Teaching experience in OshTU – 24 years. Investment: The course of lectures Osh city, 2013. Tax and taxation: The course of lectures Osh city: 2014-144s. Methodical manual for the implementation of the course work on the subject “Economics of Organizations” in Osh: 2016-33. Tashmatova Gulnara Ergeshevna – Candidate of Economic Sciences, docent. In 1997 she graduated from the postgraduate school code 08.00.05 in the direction “Economics and management of the national economy”. In 1999 she defended her thesis for a Candidate of Economic Sciences. In 2005 she got an academic status of docent. In 2000-2010 academic years she headed the department of Economics. In 2010-2013 academic years she was dean of the faculty “Accounting, management and tourism”. Teaching disciplines: Tax accounting, Economic analysis, Accounting in tax accounting. Total length of work- 31 years. Teaching experience in OshTU – 26 years. Publications: Perfection of the organizational and economic mechanism of management in the agrarian sector of the economy (monograph) in Osh: 2016-2015. Saipidinov Ilham Mahamadisaevich– Candidate of Economic Sciences, docent. In 2009 he defended his candidate’s thesis code 08.00.10 on the direction “Finance, money circulation and credit.” In 2011-2015-years docent of the Department of Economics and Law of the Osh branch of KNU. J. Balasagyn. Teaching disciplines: National Economy, Project Management, Standardization, Certification and Metrology. Total length of work-15 years. Teaching experience is 15 years. Publications: «Economic security» Methodical manual 2016-64с .., “Financial and banking-credit system of Kyrgyzstan: trends of perspective (monograph) 2017-128 ..
Dyikanova Gulchehra Aripzhanovna – senior teacher, master of economics. In 2007, she successfully completed a master’s degree in Economics, 521600, and in 2011 she completed a postgraduate course in specialty 08.00.05 Economics and Management of the National Economy. Currently she is giving lectures for bachelor students in the direction of Economics and non-economic areas, the following disciplines: Economics, Real Estate Economics, and Economic Security. The total work- 28 years. Teaching experience in OshTU – 19 years. Publications: Dyikanova G. Karaeva Z. Methodical manual on the course work on the subject “Macroeconomics” in Osh city 2017-42 ..
Kadyrova Tillaim Kaparovna , teacher. Since 2010 academic year she has been working as a teacher of the department “Economics and Business”. Teaching disciplines: “Microeconomics”, “Industry Economics”, “Enterprise Planning”. Total length of work – 27 years. Teaching experience – 20 years. Pak Evgeniya Apollonovna – Senior teacher, Master of Economics. In 2008 she graduated from the magistracy in the direction of Economics. Since 2013 academic year she works as a senior teacher of the department “Economics and Business”. Teaching disciplines: “National Economy”, “World Economy”, “Organization of Innovative Enterprise Activity”. Total length of work- 19 years. Pedagogical experience in OshTU – 17 years. Publications: 1.methodical manual on discipline “World Economy” 2016. , Workshop on discipline “World Economy” 2017. Karaeva Zulpiya Urmatovna-teacher, master of economics. In 2010 she graduated from the magistracy in the direction of Economics. Since 2010-2011 academic years she has been working as a lecturer at the Department of Economics and Business. Teaching disciplines: “Macroeconomics”, “Organization Economics”, “Tax and Taxation”. Total length of work: 22 years. Teaching experience in OshTU – 7 years. Publications: Dyikanova G. Karaeva Z. Methodical manual on the course work on the subject “Macroeconomics”, Osh city 2017-42 ..
At the Department of Economics and Business 2016-2017 academic year, the academic load of the faculty was planned 10033 hours, of which 152.5 hours budget, the contract is 9880.5 hours. Actually fulfilled: 10987 hours, of which 116 are budget, 10871 contracts. Of the completed hours, 1,206 lectures and 2,252 practical, 1884-interactive sessions, i.e. 48.6% is active hours. In the fixed auditories of the department 501, 503 during the educational process lectures and practical exercises were held. On the part of the teachers, there were no breakdowns in the class. At the department all the fixed work programs of teachers at the beginning of the academic year were designed according to the requirements of the State standard and were considered at the meeting of the department. Work programs are coordinated with the graduating department and approved by the head of the training department. At the meeting of the department, the load of teachers was approved at the beginning of the academic year (protocol No. 1.28.08.16). Currently, individual teaching staff plans are available and approved at the meeting of the department (protocol No. 3. 20.09.16). For subjects fixed by the department, subjects of coursework, control papers and issues for graduating groups were considered and approved; the themes of the thesis were approved at the meeting of the department. At the department, scientific research work was fixed and work was carried out according to the plan. According to the approved plan, a scientific and methodological seminar was held. On the 26th of April, 2017 for students, 1, 2, 3 courses on subjects Microeconomics, Macroeconomics, a conference was held. The conference was attended by 19 students who took I, II, III places from the university were awarded certificates of honor. Docents: Zhusupalieva A.T., Tashmatova G.E., Saipidinov I.M., senior lecturers: Dyikanova G., Pak E. and teachers: Kadyrova T., Karayev Z., Moldalieva J. scientific articles were prepared and they published in various regional conferences. In the journals “Izvestia” OshTU, Osh SU, OshKUU, Vestnik RGSU (Osh branch) and in Moscow. In addition, in 2017, on April 15, there was held a regional-school Olympiad in Jalal-Abad KEU. At the department, educational work was conducted according to the approved plan of the department. The working schedule and the schedule for the duty of the staff and support staff were drawn up and approved. At the department the following group tutors performed the work according to the planned plan: gr. EUP-13 curator Moldalieva J., gr.EUP-14 curator Pak E.
Department “Management” was founded in 1997. The department trains bachelors in the following areas: 580600 Logistics, 580200 Management. A special feature of the department is the training of personnel with deep market thinking, business leaders and management in organizations. From the history of the department. The importance of the mission of the department predetermined the attraction to the preparation of students of the outstanding leaders of science and practice of the Kyrgyz Republic-professors J.Jayanbayev, M.Osipov, A.Z. Zakirov, A.Nizamiev, and others. In 1999-2001, under the guidance of Associate Professor J.I. Dzhayanbayeva Chair began to acquire leadership positions in the training of managers. Graduate of KNU (Bishkek) Jayanbayev JI prepared and defended his thesis in Riga (Latvia), then passed the World Bank’s two-year courses on modern micro and macroeconomics. In OshTU is invited as a valuable specialist with market thinking. Together with Professor M.S. Osipov he developed advanced lectures on marketing, business plan, management, these subjects were included in the curricula of all specialties of the university. In 2001, Jayanbayev J.I. became the winner of the prestigious American program “Fulbright” and passed an internship in the New York state, university. Trained in several European universities, he brought to OshTU a major European educational project Erasmus Mundus, in the framework of which all teachers of the department were interned from 1 month to 3 years in the leading universities in Europe. At present J. Jayanbayev is a professor at the University of America of Rogers State University, he actively collaborates with the English-speaking staff of the department. In 2004-2005, the department was headed by professor Zakirov Adam Zakirovich, a graduate of the Moscow Automobile Road Institute (MADI), Doctor of Economics, Honored Worker of Transport of the Kyrgyz Republic. His vast managerial experience enabled the department to understand the art of management in modern conditions. Adam Zakirovich made his way from a locksmith to the first deputy Minister of Transport of the KR, worked as the first deputy. governor of Osh oblast, akim of Kara-Suu region, governor of Osh region. In the scientific sphere his leadership potential was recognized by his worth: he headed the Supervisory Board of the Higher Certification Commission of the KR, was a member of the VAK Presidium, Chairman of the Academic Council for Dissertations at the EPU. Also thanks to Zakirov AZ. The department established strong ties with the Academy of Gos. Office under the President of the Kyrgyz Republic. The present. Since 2009 the department is headed by Ph.D. Associate Professor Atabekov A.K, graduated with honors from Oshtu (1998), the International Master’s Degree EDNET (2004). In 1998-2004 he worked in OshTU as a teacher, art. teacher, head. chair. In 2005-2007 he worked as the director of the Center in the Academy of Management under the President of the Kyrgyz Republic. In 2007 received a Ph.D. in CER of the NAS of the Kyrgyz Republic. In 2008-2009, Turkey completed the postdoctoral study within the framework of the European educational project. Coordinator of two educational projects Erasmus +. The department consists of 4 Candidates of Sciences, Associate Professor, 2 Masters, 1 graduate of the European Doctoral Program. In order to bring the learning process closer to practice, the department closely cooperates with the business association Osh-JIA, uniting more than 700 entrepreneurs. The scientific theme of the department is “Actual problems of economics, management and tourism in modern conditions.” Within the framework of the scientific theme, research is being conducted on investment, migration, labor, food security and tourism issues. The percentage of full-time employees is 60%. According to the adopted strategic plan, by 2020 the department will complete the acquisition of scientists and the percentage of graduated will be 100%. Where can our graduates work? transport and state transport inspection, research centers, higher and secondary special educational institutions. Tempus UNIWORK (Strengthening career centers in universities of Central Asia), parterre-University “Alicante” (Spain), “Sheffield” (England), FHJ (Austria). Photo: participants of the Tempus UNIWORK project in Austria. The modern economy of Kyrgyzstan, which acquires the features of the “knowledge economy”, brings to the forefront the innovative component of economic growth, which requires fundamental research from universities on innovative ways of training specialists in this field. Practice shows that modern employers need skilled and mobile staff that has modern competencies. Training on this educational trajectory creates the foundation of knowledge, helps to acquire the necessary professional competencies, and systematizes the way of thinking, allow you to creatively approach the solution of complex problems and independently search for new solutions in the field of finance and credit, and also meet the demand for the labor market. Now for most of you, a moment comes that requires not only concentration and independence, but also sanity, and most importantly – honesty to oneself, responsibility for your future. You have to take one of the most crucial decisions in life. Choosing a profession, entering the economic department of OshTU, you determine the vector of your future professional and personal development. OshTU – a recognized in the South benchmark in the training of highly qualified specialists in economic areas. It is well known that OshTU is not only a living tradition that allows you to acquire fundamental knowledge, but also innovative creative approaches to the organization of the educational process. Choosing us – you will ensure your prosperous future. The Department of Finance and Credit is a structural subdivision of the Faculty of Economics and Management, where specialists are trained in the direction of economics. The profile of “finance and credit” is a bachelor’s degree in finance and banking for financial services of state and private organizations, as well as banks and non-banking credit and financial organizations. One of the most important conditions for the productive work of the department is its highly qualified staff. At present, there are 10 full-time teachers at the department, of which 4 candidates of science in the position of 1 professor and 3 associate professors, 4 masters of economics 2 senior teachers and 1 assistant. A lot of attention on the department is paid to work with gifted youth. Students and young teachers of the department are actively involved in scientific research work, annually participating in the Republican competitions of scientific works, international Olympiads and scientific and practical conferences. In recent years, applicants and graduate students of the Department of Finance and Credit have won in competitions of scientific works of students of regional higher educational institutions and have received prizes and certificates of honor and gratitude for active participation in research work and excellent progress in studies. Today the paramount task is to ensure that the level of training of students meets the modern requirements of the labor market and the current needs and requirements of market infrastructure. In this connection, when planning the employment prospects for graduate students, the cooperation of the department with the organizations of the banking sector, insurance companies, state administration bodies and their structural subdivisions, which are in charge of economic development, financial and tax policy of the region, is of great importance. In the process of such cooperation, the basic criteria for the competence of future specialists, the requirements for the level and content of their education, are already laid down at the stage of developing the personnel strategies of employers’ organizations. Development of the profile of “Finance and Credit” Bachelor’s degree requires constant improvement of the educational process and its teaching and methodological support, taking into account the requirements of modern trends in economic development, which is ensured by the use of effective forms of organization of independent managed work of students, the introduction of modern teaching methods and information technologies, based on the possibilities of the Internet. To obtain the possibility of remote access of students to the teaching materials of the department they are included in the electronic library of OshTU. All this allows activating the creative potential of students and teachers of the department, to raise the level of practical orientation of training future specialists. to monitor, analyze and monitor the progress of their implementation. Mission, purpose and objectives of the department. The mission of the department is to satisfy the growing demand for the training of highly qualified specialists in the field of economics who possess professional competences and abilities to implement them in the domestic and international labor market. The goal of the department is the implementation of educational programs for bachelor and master’s degrees on the basis of the formation of general cultural, professional and professional competencies necessary for the successful professional activity of graduates. Education: Higher education: 1972-1977 Kyrgyz State University. “50 years of the USSR” Frunze, Faculty – “Economics” Specialty – “Finance and credit”, Qualification – Economist. Scientific researches and projects: Scientific researches on the theme “The role of credit resources in the development of the agricultural sector of the economy of the Kyrgyz Republic” Scientific consultant Dr. econ. Sci., Professor, A.A. Sarybaev. Teaching disciplines: Tax control, Banks and banking, Analysis of banking activities. Publications: scientific and methodical works 47. Education: University degree: 1976 – 1980, Kyrgyz State University named after. “50 years of the USSR” Frunze, Faculty – accounting and economic Specialty – “Goods”, Qualification-graduate, 2006-2009. Graduate of the Master’s Degree in OshTU Qualification – Master of Economics. Scientific research: Theme of the scientific thesis: “The risks of investors in the conditions of increased uncertainty of the Kyrgyz stock market” scientific adviser cand.econ.sc., prof. Zulpueva A.M.
Education: 2007-2010. Graduate of the Master’s Degree in OshTU, Qualification – Master of Economics Higher: 2002. Osh Technological University, Faculty of Engineering and Economics, Department of Accounting and Audit, specialty “PRFS”, March 1989. The Samarkand Cooperative Institute is a course of listeners of teachers of cooperative technical schools on the study of the law of the USSR “On Cooperation in the USSR”. Samarkand, the Uzbek Republic, May 1988 Lvov Trade and Economics Institute – a course in teaching the basics of computer science and computer facilities, Lviv, Russia, June 1988. – May 1990. Moscow Cooperative Institute, diploma in the specialty “Teaching the subject of non-food goods” with the assignment of the qualification “Teacher of the Cooperative Technical School”, Moscow, Russian Federation, September 1983. – June 1987. Samarkand Cooperative Institute, diploma of higher education on the specialty “Commodity and organization of trade in non-food goods” with qualification “Goods expert of the highest qualification”, Samarkand, the Uzbek Republic. Scientific research: Dissertational work on the theme “The role of investments in the development of the social sphere of the regions of Kyrgyzstan” under the leadership of the d. n., Professor, Kupuyeva P.K. Scientific research: Dissertational work on the theme “The role of migration in raising the social and living standards of the population of Kyrgyzstan” under the leadership of the KE. Associate Professor, Kutmanbekova A.A.
Education: Higher education: 2000-2005. Osh Technological University names acad. M.M. Adysheva Osh Faculty – “Engineering and Economics” Specialty – “Finance and credit”, Qualification – graduate of 2006-2009. Graduate of Master’s Degree in OshTU, Qualification – Master of Economics. Education: Economics-Bachelor: 2006-2010. Osh Technological University names acad. M.M. Adysheva Osh. Faculty – “Engineering and Economics” Directions – “Economics”, Qualification – Economics-Bachelor. 2010-2013. Graduate of Master’s Degree in OshTU, Qualification – Master of Economics. organization and holding of scientific events (conferences, seminars, round tables, etc.). research work in the framework of co-participation. In recent years, the faculty has published more than 16 teaching and research papers including 15 teaching aids and 1 monograph. M.A. Toktobekova, doctoral work on specialty 08.00.10 “Finance, monetary circulation and credit” on “Problems of reforming and use of credit resources in the development of the economy of the Kyrgyz Republic”. Scientific consultant Doctor of Economic Sciences, prof. Sarybaev A.S.
Zulpueva A.M. prof. caffe-doctoral work “Level and quality of life of the population: trends and priorities”, scientific consultant Doctor of Economic Sciences. prof. Asanova A.A.
Kutmanbekova AA, Assoc. cafe. – doctoral work “Place and role of the Treasury system in the execution of the state budget of the Kyrgyz Republic”, scientific consultant Doctor of Economic Sciences. Mamasadykov A.A.
Parpieva F.S. teacher – the theme of the candidate work “The Role of Investments in Enhancing the Agro-Resource Potential of Kyrgyzstan”, the scientific supervisor cand.ec.sc.docent Atabekov А.К. The department, as the main educational and scientific division, is the key link in the system of students’ educational and research work. The department organizes the work of a scientific circle, planning and organization of its work is carried out jointly with leading experts of regional banks. The department provides lectures and other forms of classes in financial and banking disciplines in all areas of the economy. Over 35 academic disciplines are assigned to the department. Teachers of the department undergo internship and exchange experience not only in universities of Kyrgyzstan but also outside it, and also provide postgraduate, master and specialized training courses. financial management, .national and local taxes, tax control, monetary regulation, banking system of foreign countries, finance of enterprises, financial markets and institutions, financial control, securities market and BDM, budget and budget system, insurance, banks and banking activities, investment and innovation, treasury, interbank settlements, bank management, financial and investment analysis, analysis of banking activities. The chair has established stable ties and expands its cooperation with the profile universities of Kyrgyzstan, Russia, Kazakhstan and their structural subdivisions, including the Kyrgyz-Russian Slavonic University named after B. Yeltsin, the Kyrgyz-Turkish University (Manas), the Kyrgyz State National University named after J. Balasagyn, Kyrgyz University of Economics named after M. Ryskulbekov, International University of Jalal-Abad (UEP), Osh State University, Kyzylkia Institute of Technology, Economics and others Islands (KITEP), Voronezh State University, Al-Farabi Kazakh National University, Kazakh University Narxoz and others. At the present stage of the development of the system of higher education, the research activity of students is becoming increasingly important and is becoming one of the main components of the professional training of future specialists. The research activity of students allows to fully realize the acquired knowledge, to show individuality and creative abilities, readiness for self-realization of the individual. Students of different training courses take an active part in events held at the university and organized by the Department of Finance and Credit. Olympiad: Interdisciplinary regional student Olympiads “Finance”, “Taxes and taxation”, “Banking”. Conferences: “Day of Science”, “Science and Youth of the 21st Century”, “Week of Money”, etc. The spheres of activity of the graduates of the department are finance and credit, which received the state diploma of the established sample in the field of Economics. The profile “Finance and Credit”, the bachelor’s qualifications awarded can be: currency operations, lending to legal and physical persons, organization of office work with modern information technologies, planning and analysis activity, work with securities and investments, corporate business, work in the field of marketing and management, organization of cash work and collection, pricing, tax accounting and tax planning, the procedure for calculating and paying taxes, taxation of foreign economic activity, taxation of joint ventures and residents of FEZ. Graduates can continue their studies in the magistracy in the areas of “Economics” or in the graduate school of OshTU. We are justifiably proud of the successes of our graduates – outstanding scientists, leading heads of state administration and financial and credit institutions, business leaders and other areas of activity. Maripov Ulukbek is a graduate of the Fik-1-96 group, chairman of the Accounting Chamber of the Kyrgyz Republic. Atabaev Nurlan Usgenovich – graduate of FIC-1-96 Dean of the Faculty of Economics, Ata-Turk Manas University, Candidate of Economic Sciences,docent, Vice-Chairman of the Higher Attestation Commission. Karataev Akzhol is a graduate of FIC-1-97 Director of the Uzgen branch of OJSC “BTA Bank”. Abdyvasieva Nasipa – graduate of FIC-1-95 chief accountant Osh branch of CJSC Optima Bank. 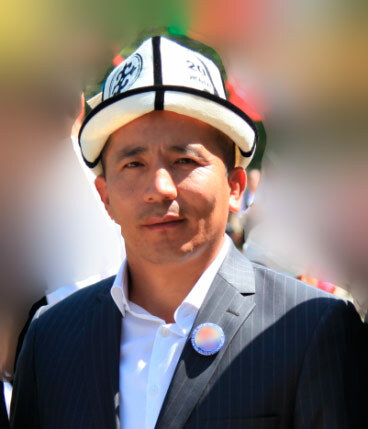 Kurmanbaev Mirbek is a graduate of FIC-1-95 Director of OGD of KB “Kyrgyzstan”. 4 computer and Internet classes (1/502, 1/505, 1/506, 1/406), multimedia center with a set of 80 modern computers with free unlimited Internet access. Classes are used to conduct practical classes using a package of programs on banking, as well as for presentations of training and other practical information containing a large amount of database (CDs) in the subjects. The department of “Political Economy” of the Osh branch of the Frunze Polytechnic Institute is the source of the department “Business Management and Social Work”. Since 1994-1995-academic year for the first time students were admitted in the specialty “Organization and management of production”. In the conditions of market relations and world integration, the specialty “Organization and management of production” was renamed into the specialty “Management”. From 1996-1997 on the basis of the department there were opened new specialties of “State and municipal management” and “International relations”. In 2005, by order of the rector OshTU No. 17/1 of 28.08.2005 on the reorganization of the departments “Public Administration and International Relations” is divided into the following departments: “World Economy and International Relations”, “Public Administration and Social Sciences” and “Tourism and management. The department pays close attention to the processes that are taking place in modern society. In this regard, every year, events are held on the Day of Diplomacy and the Constitution of the Kyrgyz Republic. In 2009, the department held an international conference on the celebration of the 65th anniversary, dedicated to the diplomacy of the Kyrgyz Republic. More than 10 delegates from foreign educational institutions, ambassadors and representatives of international organizations took part in this conference. From 2009 to the present time the department is headed by Candidate of Philology, docent Kedeibaeva Zh.A. In 2012-13 academic year on the basis of the department there was opened “Public Administration and International Relations” a new specialty 580700 “Business Management”, and in 2014-15 “social work”. In these specialties, students are admitted to full-time and part-time studies. In 2016, the department of “Public Administration and International Relations” by order of the rector of OshTU, order No. 20116-g. 04.10. No. 09-04 / 260 was renamed the department “Business Management and Social Work”. In 2016-2017, in accordance with the requirements of the Ministry of Education and Science of the Kyrgyz Republic, a license was given in the direction of “Regional Studies” (full-time course of study). carry out cultural and educational activities in the field of cultural exchanges and humanitarian interaction, using foreign languages. Language internships: China, Korea, Germany, America, etc. Production practice: Confucius Institute, Korean Center, DAAD, etc. The University has agreements on cooperation and exchange of students with universities and organizations of China, Korea, Germany and other countries. Studying the languages and cultures of the countries of the East and West – the strategy of successful communication. Position: Head of the department “Business management and social work” Candidate of Philosophy., Prof. Teaching dicsiplines: Fundamentals of Diplomacy, Problems of Social Work with Youth, Technology of Social Work, Rhetoric. Position: docent, Master of Public Administration. Teaching dicsiplines: Business organization, Organization and management in the SR, Program management and development projects, Social design and modeling. Teaching dicsiplines: Technology of social work, Jurisprudence, Legal support of social work. Direction of scientific activity: Jurisprudence. Direction of scientific activity: Economics and management of the national economy. Kasymova Suita Manasovna is a teacher. Kushbakova Aizada Tursunbaevna is a teacher. Teaching dicsiplines: Ecology and KSE, Jurisprudence, Town planning law, Environmental law. Bakhramzhanova Nilufar Mahamadzhanovna is a senior teacher. Teaching disciplines: Social counseling, Research methodology in social work, Theory and methodology of social work, Rhetoric. Madalieva Zhazgul Nyshanalievna – Laboratory assistant. The main task of the department is the training of specialists possessing relevant general and special competencies in the field of economics, directed both to the formation of its professional personal potential and to the formation of its civic position. Since 2004, the department has started to prepare bachelors in the direction of 580100 “Economics” and highly qualified specialists in specialty of 521604 “Accounting and Audit” for various sectors of the economy, enterprises and business. Over the period of its activity the department has graduated more than 1000 specialists with full higher education, employment exceeds 70%. Graduates of the department work in various enterprises, organizations, institutions, international companies and firms, in public administration structures, and continue their education in magistracy and postgraduate studies in leading universities in Kyrgyzstan, Russia and other countries. The department has convenient modern lecture audiences, lecture rooms for practical classes, computer classroom, educational and methodical room. The library has more than a thousand copies of textbooks, popular scientific literature, periodicals and reference editions on special subjects of the department. There is an electronic library. Students are granted access to the Internet and electronic library on the basis of a computer classroom and the department’s office. The special feature of the department is an in-depth study of computer technology and a foreign language by students in accordance with the requirements of the international education system. The Department “Accounting and Audit” conducts research work on the topic: “Problems applying International Financial Reporting Standards (IFRS) in the Kyrgyz Republic”. All teachers have a basic higher qualification in the specialty of “Accounting and Audit” and are constantly upgrading their qualifications through the CIPAEN line and have received the relevant certificates giving the right to professional activity. For the period of its activity the teachers of the department published 5 monographs, more than 20 teaching aids, of which with the stamp of the Ministry of Education and Science of the KR, more than 50 methodological work outs. The department has scientific contacts with leading universities of Kyrgyzstan in the far and near abroad. For practical consolidation of theoretical knowledge of students, there are ties between business entities in the Southern Region of the Kyrgyz Republic where students undergo various types of practice. Since September 2004, the Department of Accounting and Audit has been conducting the educational process using the principles of credit technology on the European (Bologna) system of student education. For this purpose, the international experience (the USA, Germany, etc.) and the experience of the advanced universities of the republic (AUCA, KRSU, Kyrgyz-Turkish University “Manas”, etc.) were studied. System of economic relations of economic entities. The mission of the department is the preparation of highly qualified competent accountants and auditors for enterprises of various forms of ownership, institutions and local business communities. 28 academic disciplines are fixed on the department. Educational and methodical complexes have been developed for all disciplines. The educational-methodical complex covers: working programs, syllabuses, lectures, practical materials, tests, the topic of coursework, lists of recommended literatures. At the department of “Accounting and Audit” there are 13 faculty members. They are: 1 prof. OshTU (Myrzaybraimov R.), 1 Doctor of Economics, prof. (Uzenbaev R.A.), 8 Candidates of Sciences and docents (Abdiev M.Zh., Umarov S.T., Samieva K.T., Hamzaeva A.M., Esenbaev N.S., Ishmabaeva Sh.K., Mamashov K.A., Astanova S.U., Alisheva P.K.) 1 senior teacher (Mamytova K.K.,), 1 teacher (Ergeshova Ch.M. ), the scientific potential of the department is 77%. Research theme of the department: “Problems of applying IFRS in the Kyrgyz Republic and ways to solve them”. On the basis of the research topic, the staff of the department defended doctoral and candidate dissertations, published monographs, textbooks, and published scientific articles. 3 doctoral students (Abdiev M.Zh., Umarov S.T., Esenbaev N.S.) are engaged in scientific activity at the department; 3 post-graduate students (Alisheva P.K., Mamytova K.K., Ergeshov Ch.M.) and 1 candidate (Makambaev T.Zh.). By the 20 th anniversary of the department “A&A” on June 29, 2017 a conference was held on the theme: “Problems of accounting, analysis and audit in the Kyrgyz Republic”. Over 20 years the department of “Accounting and Audit” achieved great results. As a result of research work of the department “A&A”, economic entities of the southern region of the KR began to apply the scientific results of studies on the application of IFRS in accounting practice. Students in the direction 580100 “Economics” (profile: “Accounting, analysis and audit”) actively participate in annual scientific conferences, as well as in regional and republican Olympiads. Students took an active part in the 4 regional student scientific and technical conference in Osh State University on November 29, 2017, under the title “Student and scientific and technical progress”, as a result, students won prizes. For the purpose of professional training, senior students take an excursion in enterprises and organizations of OJSC “Ak-Tash Osh”, OJSC “Altyn-Suu”, OJSC “Osh Elektro”, PA PBYUK, Soc. Fund, Financial and credit institutions, Tax authorities of Osh oblast. The department participates in the preparation of the project on a grant announced by the Ministry of Education and Science of the KR for the year 2018 on the scientific research program. Methodical work at the department. Annually professors and teachers of the department produce textbooks, teaching aids and other methodical works. Over the course of the whole activity of the department, more than 100 textbooks, teaching aids and methodological developments were issued. Ten patents for the works of the faculty from the Kyrgyzpatent were received. Teachers with the stamp of the Ministry of Education of the Kyrgyz Republic (Myrzaizabaimov R.M., Uzenbaev R.A., Abdiev M.Zh.) were issued by the teachers of the department. Higher education: (1988) Kyrgyz State University, Accounting and Economics Department. Publications: more than 60 scientific works, 3 monographs, 35 teaching aids and educational-methodological instructions, 2 patents, etc. Main works: Uzenbaev R.A. Accounting, billing and production costs analysis: theory, methodology and practice. Monograph. “Maxprint” Press. Bishkek c, 2013y., 18, 75 str. Uzenbaev R.A., Israilov T.M., Karimbaeva M.A. IFRS for SMEs. For small and medium-sized enterprise with international financial reporting standards. Manual. – Osh: Kagazresurstary Press, 2017. – 20. 8 str. Uzenbaev RA, Ergeshova Ch.M., Bekmuratova AA Financial account. Manual. – Osh: Paper Resources Press, 2017. – 14.1 str. (03222) 4-60-94, 0771 42 67 24, URRAS@mail.ru. Professor of the department of “A&A” Myrzaybraimov R.M. Education: Osh Trade College, Moscow Trade Institute, Faculty of Economics, Tashkent Polytechnic Institute. Abu Rayhani Beruni, St. Petersburg Financial and Economic Institute. Main works: Author of more than 10 teaching and methodical works and 12 scientific articles. 2008, the textbook was approved and the MIINC stamp was received for the textbook “Solution of the problem on economics, statistics and financial analysis” with a volume of 36 pp. Contributed to the development of science and introduced the formula of the mathematical model and statistics “Finding parabolic coefficients with the help of the median.” Some works were published in Russia by the publishing house “Finance and Statistics”. Three scientific works are patented by Kyrgyz patent. Awards: He was awarded with the state Chest sign “For an excellent service for the protection of public order”, Honored Worker of the Osh Technological University, was awarded the Medal of the Ministry of Education and Science of the Kyrgyz Republic with an excellent worker in the KR. Docent of the Department of A&A, cand.econ.sciences, Ishmabaeva Sh.K. Publications: Author of more than 36 scientific and methodical works of them 12 teaching and methodical works, 24 scientific articles. Further training: Public Foundation “Legal Perspective”, “Program Budgeting of Local Self-Government Bodies” (14.03.2014) “TeachEx” (20-21.01.2015), “International Professional Certification of Accountants an independent and authoritative recognition of competence in accounting, auditing and the role automation for today “” Accounting under the 1C: Enterprise 8.1 program “Course Certificate (15-20.11 2016). Candidate of Economic Sciences, Docent of the Department “A&A” Abdiev M.Zh. Education: Jalal-Abad Commercial Institute, Accounting and Finance Faculty. Educational and methodical work: the author of more than 30 teaching aids, received the grade of MIINC to 3 textbooks, 1 monograph is patented by Kyrgyz patent. Abdiev M.Zh. Fundamentals of Accounting. Textbook. RUE OshTU, 2010, 7.2 pp. Abdiev M. Zh. Increase of economic efficiency of fruit and vegetable production in conditions of market economic conditions. Monograph. RIO OshTU, Osh, 2012, 9.25 p.p. Abdiev M.Zh. Financial Accounting. RIO OshTU, 2012, 13 p.s. Abdiev M.Zh. Documentation of accounting. Tutorial. RIO OshTU, 2013, 14.75 bp. Abdiev M.Zh. Accounting (financial) reporting. Tutorial. RIO OshTU, 2013, 14.7 bp. Abdiev M.Zh. Audit. The teaching aid. SR OshTU, 2015, 13 pp. Candidate of Economic Sciences, Docent of the Department of “A&A” Umarov S.T. Teaching disciplines: Features of accounting in industries, accounting in commercial banks. Publications: 15 scientific articles, 5 teaching aids, including 3 teaching aids published in the Kyrgyz language, has 1 patent. Candidate of Economic Sciences, associate professor of the department “A&A” Samieva K.T. Candidate of Economic Sciences, Associate Professor of the Department “A&A” Alisheva P.K. Teaching disciplines: “Accounting”, “Management accounting”, “МСА”, “Practical audit”, “Theory of audit”. Scientific work: postgraduate study at OshTU research topic: “Southern region of the Kyrgyz Republic, tourist activities of accounting and audit of small- and theoretical aspects of the organization” scientific director, Prof. Mamasydykov A.A. Candidate of Economic Sciences, Docent of the Department “A&A” Astanova S.U. Teaching disciplines: “Accounting”, “Computerization of Accounting and Reporting”, “IFRS. Candidate of Economic Sciences, Docent of the Department “A&A” Esenbaev N.S. Senior lecturer of the Department of “A&A” Mamytova K.K. Teaching disciplines: “Accounting”, “Financial Accounting”, “IFRS for SMEs”. Research work: In 2013, OshTU postgraduate № 07-32 / 3721.11.2013-house specialty 08.00.05 Economics and management, thesis topic: “The ways of increasing the capacity of local budget revenues and optimize the methodology for calculation of a” scientific leader c.e.s. prof. OshTU Uzenbaev R.A.
Senior lecturer of the Department of “A&A” Ergeshova Ch.M. Laboratory assistant of the department “A&A” Kalillila k N.
Over the past period, the department has produced more than a thousand young specialists for the economy of Kyrgyzstan, who work in various sectors of the country’s economy. In particular, financial authorities, the banking sector, manufacturing and other companies, international and other public organizations, budget institutions and the private sector. Some graduates hold important positions and make their personal contribution to the development of the country’s economy. For example: Aliev B. – chief of revenue department MFKR., Faizullaev D. – akim of the Naukat district, Ashyrbaev B.K. – the manager of the K-Kiya branch of closed joint-stock company Eco Islam Bank, Arzimatova Zh.Z. – c.e.s., director of the Social and Humanitarian College of Osh, Kalbaev O., Isayeva A.E. – teachers Osh SU, Astanova S.U., Mamytova K.K., Ergeshova Ch.M., Esenbaev N.S., Mamashev K.A., Mazirbaev K.K., Bekmuratova A.A., Karimbaeva M.A. – teachers of Osh TU and others. The mission of the department is to contribute to the development of the economy of the information society. The goal of the department is the training of professionals in accordance with the needs and prospects of the economy of the information society. The Department of Applied Informatics in Economics was established on September 20, 2006. with the aim of integrating the economy and informatics, application of information technologies to the study of economic problems, both in science and in the educational process. 580500 Business – informatics profile «Electronic business». To date, the department has formed a highly professional faculty and material and technical base. More than 400 students were educated in this direction. 8 employees work at the department, including: 1 doctor of economic sciences, 2 candidates of physical and mathematical sciences, 4 senior lecturers and 1 teacher. Employees of the department received relevant special training and internships in the consulting centers of leading universities of the country. All disciplines are fully provided with educational and methodological materials, software packages, basic on specific examples and situations. Since the formation of the department, the post of the head of the department occupies the candidate. Phys.-Math. Sci., docent Artykov Aamat Zhakyshovich. The department has two computer classes and one lecture room, equipped with modern computer technology and software. The department carries out preparation of bachelors on the basis of secondary and secondary special education. The department is actively working on the development of methodological support for the educational process. Particular importance in recent years is the creation of electronic, interactive manuals for conducting classes on the distance learning system. The staff of the department has created a high-quality educational and methodological base for training specialists who are proficient in programming languages ​​and web technologies that are able not only to use, but also to develop modern corporate information systems. The educational process uses computer classes equipped with the latest multimedia equipment and packages of applied programs in the field of information technology. Employees of the department conduct active teaching and research and research activities. A large number of scientific articles, educational and teaching aids have been published in domestic and foreign publications. Areas of scientific research of the staff of the department are applications of information technologies in various fields, including in the sphere of economy. To carry out the research work of the department, students and post-graduate students are involved. Students of the department take an active part in conferences, seminars, olympiads of various levels. winners and prize-winners of republican and regional olympiads, competitions, grants and sports days. Graduates of the department work in all cities and regions of the Kyrgyz Republic, as well as in foreign countries (Russia, Kazakhstan, Uzbekistan) in the status of economists, managers, analysts, heads of enterprises, businesses, candidates of science, associate professors, university professors. Teachers of the department support students not only in studies, but in cultural and mass events. Annually students and curators of the department organize trips to historical sites in the south of Kyrgyzstan, New Year and creative evenings, interesting seminars, meetings with alumni and employers. Dynamism of the key area in which the department operates, as well as the enthusiasm and cooperation of teachers and students create a creative atmosphere in which it is interesting to learn and work, develop personal and professional qualities, become one team focused on success and creation. The department has close ties with the Ministry of Education and Science of the KR, the Ministry of Economy, the Tax Inspectorate, leading commercial banks and state and private enterprises of the city of Osh, and annually takes part in international conferences in its profile. Direction 710300 Applied informatics (in economics), (qualification – academic bachelor) – bachelor of this direction, laws, knows and understands all laws, phenomena and processes occurring in the economy, can model business processes, analyze the activity of enterprises, predict the state of financial and commodity markets, professionally work on the computer and create information systems, which means – to manage the organization using modern information technologies. Applied informatics – the direction of professional training of bachelors of the XXI century, standing at the intersection of economics and informatics. Applied computer science prepares programmers, system administrators, economists, heads of information services in government, commercial organizations, insurance companies, banking institutions, audit firms, consulting firms, investment and commercial companies. Graduates are in demand by software companies in the field of enterprise management and production, state and municipal organizations. assess the economic costs of projects for informatization and automation of solving applied problems. The relevance of the educational program for training 580500 “Business Informatics” is determined by modern trends in the development of the economy and management, and at the same time the sharpest shortage of qualified personnel capable of effectively organizing complex information systems, management systems, building logistics models in business and public administration. The direction of training bachelors 580500 “Business Informatics” is fundamentally new, their relevance is associated with the active development of IT in various sectors of the economy of the Kyrgyz Republic, which requires highly skilled areas of information systems (IS) and information and communication technologies (ICT). Bachelor of Business Informatics will receive in-depth knowledge both in the field of economics and management, and in the fields of information systems and technologies, will acquire skills in the skills of implementing innovative projects in today’s challenging conditions. The department trains economists, marketers, managers, financiers who own business management methods based on information and communication technologies necessary for their professional activities. Services and trade in private enterprises. Teaching disciplines: “Numerical methods”, “Probability theory and mathematical statistics”, “Operating systems” (OS) and “Information systems in banking”. Certificate European quality assurance system for educational programs: implementation of internal and external quality assurance standards in the system of higher education in Kyrgyzstan (DoQuP model), Bishkek – 2014. Certificate “TeachEx”, “Compotent relation to the study “, “ Developing workmanship school in OshTU” – 2015ж. Certificate “Center of increasing pedagogical requalification”, Osh – 2016. Certificate ”Developing future youth” social foundation, Osh -2017. Certificate, Agency for the accentuation of educational programs and organizations (AAPO), “Conducting independent accretion of programs and organizations of vocational education” OshTU – 12-14.12.2017. Certificate, Workshop training OshTU, 12-13-January 2018. Specialty: Osh State Pedagogical Institute, specialty – “Mathematics”; Osh Technological University named after academician M.M. Adysheva, majoring in “Organizer – Economist”. Certificate “Horizon 2020 – The EU Framework Program for Research and Innovation” 2014. Certificate, Foundation, “Soros – Kyrgyzstan”,”Updating the content and quality assurance system of higher education, as well as independent experts in accreditation training, Osh – 2014. Certificate, “Management of personal money by the family budget” Osh – 2014. Certificate, European quality assurance system for educational programs: implementation of internal and external quality assurance standards in the system of higher education in Kyrgyzstan, Bishkek – 2014. RESEARCHER CONNECT Communication skills for researchers Dilyara Woodwart, Trainer. 2017. Certificate, “The future of youth” fund,Osh -2017. Certificate “, Conducting educational programs and activities, Osh -2017. Position: senior instructor of the department Applied Informatics in Economy. Teaching disciplines: “Higher Mathematics”, “Econometrics”, “World Information Systems” and “Theory of Probability and Mathematical Statistics”. Position: senior instructor of the department, Applied Informatics in Economy. Further training: Certificate, GS Professional Accountant of the South of Kyrgyzstan, “Tax planning. Review of changes in tax legislation “Osh – 2014. Certificate, Ala-Too-Atatürk, Joint scientific and educational project, “Economic Development” and “Theoretical Foundations of the Economy in Transition”Osh – 2016. Certificate, Professional Accounting School LLC “KEN” Osh persons. LE 145000316, course “1C Accounting for Kyrgyzstan” Osh – 2016. Certificate, “Improvement of professional skills of young scientists and teachers” OshTU – 2017. Position: senior instructor of the department. Teaching disciplines: “Higher Mathematics”, “Financial Mathematics”, “Probability Theory and Mathematical Statistics”, “Simulation Modeling of Economic Processes”. Further training: Certificate, GS Professional Accountant of the South of Kyrgyzstan, “Tax planning. Review of changes in tax legislation “Osh – 2014. Stimulus” of the UC, Individuals. LE140001633 Accounting in the program “1C: Enterprise 8.1” 2016g. Certificate, “Improvement of professional skills of young scientists and teachers” OshTU – 2017. Degree: Master of Science in Applied Mathematics and Informatics. Advanced training: Certificate, GS Professional Accountant of the South of Kyrgyzstan, “Tax planning. Review of changes in tax legislation”, Osh – 2014. Certificate, “TeachEx”, Certificate, Professional Accounting School LLC “KEN” Osh persons.LE 145000316, course “1C Accounting for Kyrgyzstan” Osh – 2016. Position: teacher of the department “Applied Informatics in Economy”. Teaching disciplines: “Theory of economic information systems”, “Information systems and technologies”, “Programming in the environment of Delphi”, “Information security”. Advanced training: Certificate, Developing qualification of instructors in OshTU, 2017. Further training: Certificate, “Stimulus” of the UC, Individuals. LE140001633 Accounting in the program “1C: Enterprise 8.1” 2016. Certificate, “Improvement of professional skills of young scientists and teachers” OshTU – 2017. Working phone: (03222) 43442 Mobile: +996 (777) 666909, +996 (551) 565708 E-mail: gulaiym.92kg@mail.ru.